For similar terms, see Pirate Radio (disambiguation). REM Island was a platform off the Dutch coast used as a pirate radio station in 1964 before being dismantled by the Netherlands Marine Corps. Pirate radio or a pirate radio station is a radio station that broadcasts without a valid license. In some cases radio stations are considered legal where the signal is transmitted, but illegal where the signals are received—especially when the signals cross a national boundary. In other cases, a broadcast may be considered "pirate" due to the nature of its content, its transmission format (especially a failure to transmit a station identification according to regulations), or the transmit power (wattage) of the station, even if the transmission is not technically illegal (such as an amateur radio transmission). Pirate radio is sometimes called bootleg radio (a term especially associated with two-way radio), clandestine radio (associated with heavily politically motivated operations) or free radio. Radio "piracy" began with the advent of regulations of the public airwaves in the United States at the dawn of the age of radio. Initially, radio, or wireless as it was more commonly called, was an open field of hobbyists and early inventors and experimenters. The United States Navy began using radio for time signals and weather reports on the east coast of the United States in the 1890s. Before the advent of valve (vacuum tube) technology, early radio enthusiasts used noisy spark-gap transmitters, such as the first spark-gap modulation technology pioneered by the first real audio (rather than telegraph code) radio broadcaster, Charles D. Herrold, in San Jose, California, or the Ruhmkorff coil used by almost all early experimenters. The navy soon began complaining to a sympathetic press that amateurs were disrupting naval transmissions. The May 25, 1907, edition of Electrical World in an article called "Wireless and Lawless" reported authorities were unable to prevent an amateur from interfering with the operation of a government station at the Washington, D.C. Navy Yard using legal means. In the run-up to the London Radiotelegraph Convention in 1912 (essentially an international gentlemen's agreement on use of the radio band, non-binding and, on the high seas, completely null), and amid concerns about the safety of marine radio following the sinking of the RMS Titanic on April 15 of that year (although there were never allegations of radio interference in that event), the New York Herald of April 17, 1912, headlined President William Howard Taft's initiative to regulate the public airwaves in an article titled "President Moves to Stop Mob Rule of Wireless." When the "Act to Regulate Radio Communication" was passed on August 13, 1912, amateurs and experimenters were not banned from broadcasting; rather, amateurs were assigned their own frequency spectrum, and licensing and call-signs were introduced. By regulating the public airwaves, President Taft thus created the legal space for illicit broadcasts to take place. An entire federal agency, the Federal Radio Commission, was formed in 1927 and succeeded in 1934 by the Federal Communications Commission. These agencies would enforce rules on call-signs, assigned frequencies, licensing and acceptable content for broadcast. The Radio Act of 1912 gave the president legal permission to shut down radio stations "in time of war", and during the first two and a half years of World War I, before US entry, President Wilson tasked the US Navy with monitoring US radio stations, nominally to "ensure neutrality." The navy used this authority to shut down amateur radio in the western part of the US (the US was divided into two civilian radio "districts" with corresponding call-signs, beginning with "K" in the west and "W" in the east, in the regulatory measures; the navy was assigned call-signs beginning with "N"). When Wilson declared war on Germany on April 6, 1917, he also issued an executive order closing most radio stations not needed by the US government. The navy took it a step further and declared it was illegal to listen to radio or possess a receiver or transmitter in the US, but there were doubts they had the authority to issue such an order even in war time. The ban on radio was lifted in the US in late 1919. In 1924, New York City station WHN was accused by the American Telephone and Telegraph Company (AT&T) of being an "outlaw station" for violating trade licenses which permitted only AT&T stations to sell airtime on their transmitters. As a result of the AT&T interpretation a landmark case was heard in court, which even prompted comments from Secretary of Commerce Herbert Hoover when he took a public stand in the station's defense. Although AT&T won its case, the furor created was such that those restrictive provisions of the transmitter license were never enforced. In 1948, the United Nations brought into being the Universal Declaration of Human Rights, of which Article 19 states: "Everyone has the right to freedom of opinion and expression; this right includes the freedom to hold opinions without interference and to seek, receive and impart information and ideas through any media and regardless of frontiers." In Europe, Denmark had the first known radio station in the world to broadcast commercial radio from a vessel in international waters without permission from the authorities in the country that it broadcast to (Denmark in this case). The station was named Radio Mercur and began transmission on August 2, 1958. In the Danish newspapers it was soon called a "pirate radio". In the 1960s in the UK, the term referred to not only a perceived unauthorized use of the state-run spectrum by the unlicensed broadcasters but also the risk-taking nature of offshore radio stations that actually operated on anchored ships or marine platforms. The term had been used previously in Britain and the US to describe unlicensed land-based broadcasters and even border blasters (for example, a 1940 British comedy about an unauthorized TV broadcaster, Band Waggon, uses the phrase "pirate station" several times). A good example of this kind of activity was Radio Luxembourg located in the Grand Duchy of Luxembourg. The English language evening broadcasts from Radio Luxembourg were beamed by Luxembourg-licensed transmitters. The audience in the United Kingdom originally listened to their radio sets by permission of a wireless license issued by the British General Post Office (GPO). However, under terms of that wireless licence, it was an offence under the Wireless Telegraphy Act to listen to unauthorised broadcasts, which possibly included those transmitted by Radio Luxembourg. Therefore, as far as the British authorities were concerned, Radio Luxembourg was a "pirate radio station" and British listeners to the station were breaking the law (although as the term 'unauthorised' was never properly defined it was somewhat of a legal grey area). This did not stop British newspapers from printing programme schedules for the station, or a British weekly magazine aimed at teenage girls, Fab 208, from promoting the DJs and their lifestyle (Radio Luxembourg's wavelength was 208 metres (1439, then 1440 kHz)). Radio Luxembourg was later joined by other well-known pirate stations received in the UK in violation of UK licensing, including Radio Caroline and Radio Atlanta (subsequently Radio Carolines North and South respectively, following their merger and the original ship's relocation) and Radio London, all of which broadcast from vessels anchored outside of territorial limits and were therefore legitimate. Radio Jackie, for instance (although transmitting illegally), was registered for VAT and even had its address and telephone number in local telephone directories. Where actual seafaring vessels are not involved, the term pirate radio is a political term of convenience as the word "pirate" suggests an illegal venture, regardless of the broadcast's actual legal status. The radio station XERF located at Ciudad Acuña, Coahuila, Mexico, just across the Rio Grande from Del Rio, Texas, US, is an example. While Mexico issued radio station XERF with a license to broadcast, the power of its 250 kW transmitter was far greater than the maximum of 50 kW authorized for commercial use by the government of the United States of America. Consequently, XERF and many other radio stations in Mexico, which sold their broadcasting time to sponsors of English-language commercial and religious programs, were labelled as "border blasters", but not "pirate radio stations", even though the content of many of their programs could not have been aired by a US-regulated broadcaster. Predecessors to XERF, for instance, had originally broadcast in Kansas, advocating "goat-gland surgery" for improved masculinity, but moved to Mexico to evade US laws about advertising medical treatments, particularly unproven ones. Another variation on the term pirate radio came about during the "Summer of Love" in San Francisco during the 1960s. These were "Free radio", which usually referred to secret and unlicensed land-based transmissions. These were also tagged as being pirate radio transmissions. Free Radio was used only to refer to radio transmissions that were beyond government control, as was offshore radio in the UK and Europe. The term free radio was adopted by the Free Radio Association of listeners who defended the rights of the offshore "radio stations" broadcasting from ships and marine structures off the coastline of the United Kingdom. In Europe, in addition to adopting the term free radio, supportive listeners of what had been called pirate radio adopted the term offshore radio, which was usually the term used by the owners of the marine broadcasting stations. Propaganda broadcasting may be authorized by the government at the transmitting site, but may be considered unwanted or illegal by the government of the intended reception area. Propaganda broadcasting conducted by national governments against the interests of other national governments has created radio jamming stations transmitting noises on the same frequency to prevent reception of the incoming signal. 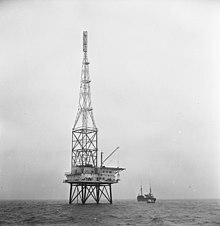 While the United States transmitted its programs towards the Soviet Union, which attempted to jam them, in 1970 the government of the United Kingdom decided to employ a jamming transmitter to drown out the incoming transmissions from the commercial station Radio North Sea International, which was based aboard the motor vessel (MV) Mebo II anchored off southeast England in the North Sea. Other examples of this type of unusual broadcasting include the USCGC Courier (WAGR-410), a United States Coast Guard cutter which both originated and relayed broadcasts of the Voice of America from an anchorage at the Greek island of Rhodes to Soviet bloc countries. Balloons have been flown above Key West, Florida, to support the TV transmissions of TV Martí, which are directed at Cuba (the Cuban government jams the signals). Military broadcasting aircraft have been flown over Vietnam, Iraq, and many other nations by the United States Air Force. Unlicensed operation—Particularly associated with amateur radio and licensed personal communication services such as GMRS, this refers to use of radio equipment on a section of spectrum for which the equipment is designed but on which the user is not licensed to operate (most such operators are informally known as "bubble pack pirates" from the sealed plastic retail packaging common to such walkie-talkies). While piracy on the US GMRS band, for example, is widespread (some estimates have the number of total GMRS users outstripping the number of licensed users by several orders of magnitude), such use is generally disciplined only in cases where the pirate's activity interferes with a licensee. A notable case is that of former United States amateur operator Jack Gerritsen operating under the revoked call sign KG6IRO who was successfully prosecuted by the FCC for unlicensed operation and malicious interference. A subcategory of this is free banding, the use of allocations nearby a legal allocation, most typically the 27 MHz Citizen's Band using modified or purpose-built gear. Inadvertent interference—Common when personal communications gear is brought into countries where it is not certified to operate. Such interference results from clashing frequency allocations, and occasionally requires wholesale reallocation of an existing band due to an insurmountable interference problem; for example, the 2004 approval in Canada of the unlicensed use of the United States General Mobile Radio Service frequencies due to interference from users of FRS/GMRS radios from the United States, where Industry Canada had to transfer a number of licensed users on the GMRS frequencies to unoccupied channels to accommodate the expanded service. Deliberate or malicious interference—refers to the use of two-way radio to harass or jam other users of a channel. Such behaviour is widely prosecuted, especially when it interferes with mission-critical services such as aviation radio or marine VHF radio. Illegal equipment—This refers to the use of illegally modified equipment or equipment not certified for a particular band. Such equipment includes illegal linear amplifiers for CB radio, antenna or circuit modifications on walkie-talkies, the use of "export" radios for free banding, or the use of amateur radios on unlicensed bands that amateur gear is not certified for. The use of marine VHF radio gear for inland mobile radio operations is common in some countries, with enforcement difficult since marine VHF is generally the province of maritime authorities. WCPR, WFAT, WHOT, WGUT, New York City, operated by Hank Hayes and Jim Nazium in Brooklyn, 1975-1989. The films The Boat That Rocked, Pump Up the Volume, and On the Air Live with Captain Midnight, as well as the TV series People Just Do Nothing are set in the world of pirate radio, while Born in Flames features pirate radio stations as being part of an underground political movement. ^ Electrical world. McGraw-Hill. 1907. pp. 1023–. Retrieved 6 March 2012. ^ "Thomas H. White. "United States Early Radio History"". Earlyradiohistory.us. Retrieved 2011-06-16. ^ Stan Gibilisco (1 January 1997). TAB Encyclopedia of Electronics for Technicians and Hobbyists. McGraw-Hill. ISBN 978-0-07-024190-9. ^ "W5YI Report". W5yi.org. Retrieved 2011-06-16. ^ "Apologetic Radio Jammer Jack Gerritsen Gets Seven Years, Fines". ARRL Web. Sep 19, 2006. Archived from the original on Apr 2, 2007. ^ "Les Paul's Pirate Radio Station in Queens". 7 March 2012. ^ "WRFN Radio Free Naptown". www.wrfn.org. ^ "North American Pirate Radio Hall Of Fame - KIPM". sites.google.com. Wikimedia Commons has media related to Pirate radio. Thomas H. White "United States Early Radio History"
This page was last edited on 13 February 2019, at 20:28 (UTC).